Please accept cookie use to continue using this site. Ling Chen trained and qualified in traditional Chinese medicine (TCM) in China and Britain. 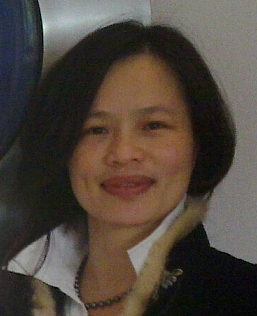 She is a registered member of the Association of Traditional Chinese Medicine and acupuncture UK. She also has a master’s degree in pain science (MSc) from the medical school of King’s college London. 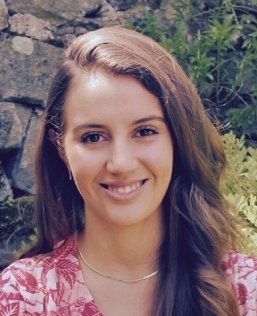 Her work experience includes working and teaching at the Asante Academy of Chinese Medicine, which is the affiliated Teaching and Research Centre of Chinese Medicine for Middlesex University and the pain clinic at Withington hospital. Ling has established herself within the orthodox G.P. practice in Kew for the last 11years, where she treats patients that are referred by both local G.P.s and other alternative therapists. During childhood & adolescence big changes happen which might have a physical or emotional impact & sometimes even both. Therefore it is important to use age appropriate approaches to the diagnosis & treatment of mental health & neurodevelopmental conditions manifesting in a multitude of signs & symptoms such as sleeping, school, eating problems, worrying, hopelessness, anger, controlling ideas & impulses, "feeling down in the dumps & over the moon" Sometimes parents notice developmental delays, or children complain about unexplainable tummy ache, headaches, a big lump in the throat, or just feelings of something being odd or different. Often parents notice that their child is different or has changed. Beth is a nutritional therapist and registered member of the British Association of Nutritional Therapy (BANT) and Complementary and Natural Healthcare Council (CNHC). As a true health and happiness enthusiast and lover of food Beth’s main mission is to empower her clients to take control of their health naturally to promote a state of wellbeing both physically, mentally and emotionally. Using the functional medicine model Beth works somewhat like a detective to find the ‘root cause’ of your troubling symptoms to achieve wellness from the inside out. Working in this way means that rather than simply masking symptoms, which often indicate a deeper issue, it can also minimise the risk of it reoccurring. She will ask you questions relating to your symptoms whilst also compiling a comprehensive insight of each bodily system including emotions, lifestyle and diet to help determine any blockages or disturbance in the body. If necessary some functional testing may be recommended to help determine any biochemical imbalances that may be present within the body, creating a highly bespoke nutritional plan, eliminating any guesswork and making your plan more tailor specific. Follow up consultations provide pivotal support to motivate you on your continuing journey to wellness as well as adjustments to your plan when needed, whether this be personal or functional. Beth’s main goal is to tailor your plan to your highly unique biochemical, spiritual and social individuality in order for it to be both effective and enjoyable. Beth believes wellness is a way of life, not something that should make you feel constricted. She strives to create plans that encourage clients to have fun whist feeling energised, alive and truly beautiful from the inside out. Beth will strive to inspire you with recipes, motivation and highly individual protocols to help you all achieve and maintain your happiest and healthiest self in order to truly ‘blossom’. 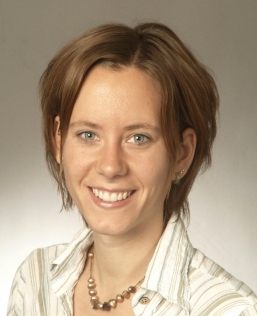 Vera Henrike Kluge is a psychologist and child and adolescent psychotherapist trained in Germany. She joined the team of Medicaoptima in September 2011. Before that she worked at Praxis Prosana (Ham, London). 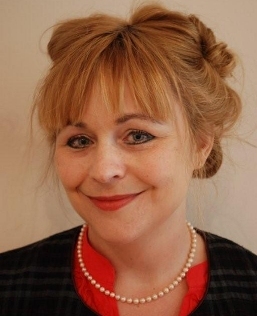 Vera Kluge is a Registered EuroPsy Psychologist and considered qualified for independent practice as a psychologist by the European Federation of Psychologists' Associations EFPA. She holds an Accreditation Certificate of European Association for Behavioural and Cognitive Therapies EABCT and is a member of DVT Deutscher Fachverband für Verhaltenstherapie e.V. and Berufsverband Deutscher Psychologinnen und Psychologen BDP. Vera Kluge offers cognitive behavioural therapy (CBT) to help dealing with these or similar kinds of problems.